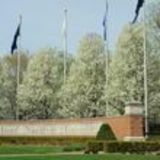 Olivet Nazarene University is an accredited Christian, liberal arts university offering more than 140 areas of undergraduate and graduate study, including the Doctor of Education in ethical leadership. Olivet has one main campus in Bourbonnais, Ill. — just 50 miles south of Chicago; with additional School of Graduate and Continuing Studies locations in Rolling Meadows and Oak Brook, Ill.; Indianapolis, Ind. ; Grand Ledge and Grand Rapids, Mich.: and Hong Kong. From Oxford to Tokyo, hundreds of Olivet students also experience the global classroom each year, whether through study abroad opportunities or worldwide mission trips.